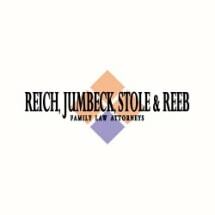 At Reich, Jumbeck & Stole, L.L.P., our team of attorneys represents individuals and families in Joliet, Plainfield and throughout northern Illinois in a variety of matrimonial and family law issues. With more than 45 years of experience, we understand the numerous pressures facing our clients as they navigate divorce, child custody disputes and other family law matters. When faced with family law challenges, you want to work with a firm that listens to your individual needs and crafts strategies that support your immediate and long-term goals. By working closely with our attorneys, you will have opportunities to share your story, ask questions, receive thoughtful answers and dictate the direction in which we take your case. Each family law case we handle presents its own unique challenges. That is why we stress the importance of a careful, calculated and hands-on approach. Instead of treating your case like an equation, we look for creative opportunities to achieve the result that advances your interests. This means looking at alternative dispute resolution strategies, carrying out negotiations and when necessary, advancing aggressive litigation strategies. To learn more about our firm, our credentials and how we can guide you through your family law matter, reach out to us and schedule a consultation.